Turns out I hate it when I don’t eat Paleo. As much as I love regular food – the bread, the butter, the desserts – I hate looking at the scale afterward. It seems that the best way to keep my weight at a manageable level is to make good eating decisions. So we’re making little changes and this recipe is one of them. Instead of dredging our chicken in flour and using butter, we made some substitutions, mainly using almond flour instead of regular flour. Yes, almond flour is more expensive. No, you can’t really tell the difference. Yes, it’s better for you in the long run. In a small bowl combine almond flour, salt, paprika, and cayenne pepper. In a separate bowl, whisk eggs and coconut milk. Cut chicken into small chunks or strips. Dredge chicken in wet egg mixture, then bread chicken with almond flour mix. Repeat the process so that each piece of chicken is double coated. Use tongs instead of your hands to avoid breading your fingers. Place chicken on a cookie sheet that has been lightly coated with olive oil. Bake chicken for 8-10 minutes or until chicken begins to brown. Turn the oven on to low broil and continue to cook the chicken for an additional 1-2 minutes or until the surface is browned. In a clean bowl, add hot sauce. 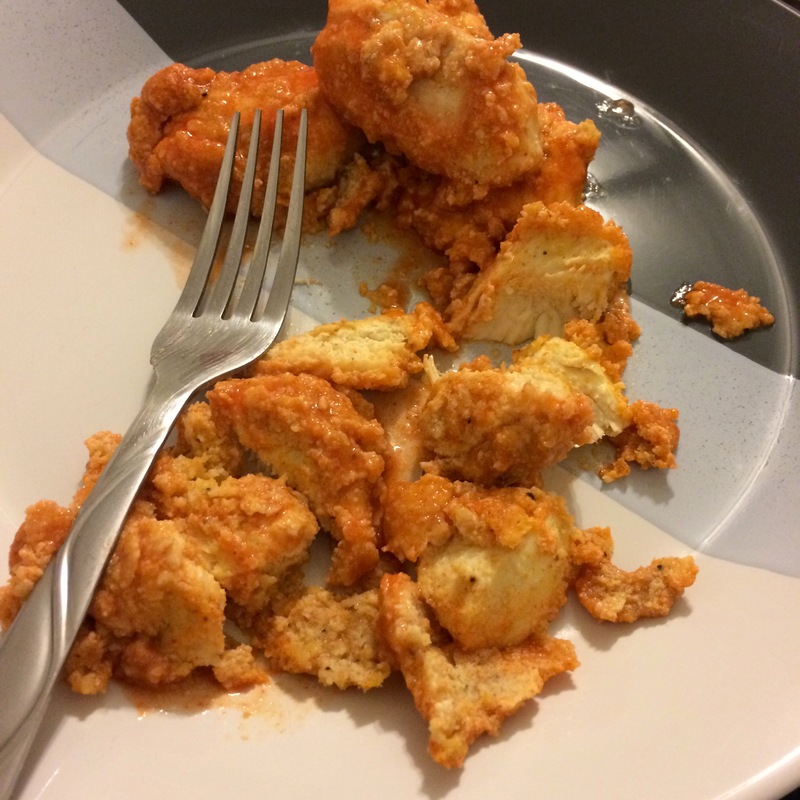 Toss pieces of chicken in hot sauce, then serve.